KENT, JOHN, commission agent and politician; b. in Waterford, Ireland, in 1805; d. 1 Sept. 1872 in St John’s, Nfld. John Kent came to Newfoundland in 1820. He served for a time as clerk to his uncle, Patrick Morris*, who had emigrated to Newfoundland 20 years before, and whose impetuosity, wit, and belligerence Kent seems to have shared. By 1830 Kent was already established as an auctioneer and commission agent, and doing a business sufficient for him to be able to marry the sister of the Roman Catholic bishop of the colony, Dr Michael Anthony Fleming*. 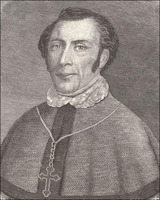 It was Bishop Fleming’s influence that was largely instrumental in getting John Kent elected for St John’s in the first Newfoundland assembly. This assembly was established by an imperial act in 1832, in the movement for which Kent had played an important role. Given principles and capacities like these, John Kent would go far as a popular demagogue. He seems never to have scrupled much about the means he used to get elected, and stay elected: he was never defeated in any election. But then Kent was no worse in this respect than many of his contemporaries. It was alleged by Protestants in 1836 that the Catholic population of Newfoundland (37,600 as against 36,000 Protestants) was controlled “by an ignorant, vicious and a political priesthood.” The Protestant author of that statement, Henry D. Winton*, the editor of the Public Ledger, had had his ears cut off just the year before. But Protestants were no better. Not even an angel, wrote one exasperated governor of Newfoundland, Captain Henry Prescott in 1839, could “still the storm of religious rancour. . . .” Kent made no attempt to do so. He enjoyed the storm and rode it to his own advantage, though as he grew older he developed a greater sense of responsibility and his youthful asperities softened somewhat. 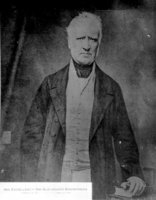 In 1842 Kent was appointed to the new amalgamated legislature, made up of 11 elected members and 10 appointees of the crown; in 1849 he became speaker of the reseparated assembly. Later that same year he was given the post of collector of customs and resigned his seat in the assembly. Kent had by this time become an enthusiast for responsible government. He had first proposed the system in 1846; he believed that the assembly could be made responsible by giving it responsibility, whereas without responsible government an opposition would remain permanently demagogic. This was an argument from Robert Baldwin* in Canada West; but the St John’s Morning Courier asked (30 May 1848) if Newfoundland, lacking a cohesive population, did not need some solid institutional structures of local government first. To bring responsible government at this time would be folly. It would put it “on a rotten foundation . . . propped by needy partisans, who have not sufficient industry to earn their own substance. . . .” Governor John Gaspard Le Marchant believed that the agitation for responsible government, coming, as it did, nearly exclusively from the Reform or Liberal party, was simply a mask for Catholic striving for power. Kent may have been naive in believing that the circumstances that had justified, or had seemed to justify, responsible government in the provinces of Canada and Nova Scotia could apply in Newfoundland. In 1848 the Liberals in the assembly controlled about 3/5 of the seats – a proportion continued by the general election of 1852. Nearly all of their holders were Roman Catholics, and all of these were pledged to responsible government. After many representations the British government agreed, reluctantly, to grant responsible government to Newfoundland. Elections to this end were held in May 1855, and in the same month the first cabinet was sworn in in Newfoundland, under the Liberal premier, Philip Francis Little*. 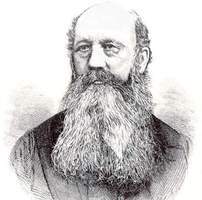 John Kent, who had resigned his office as collector of customs and been elected in 1852, was made colonial secretary in an administration consisting of four Roman Catholics and two Protestants. In 1857 the draft Anglo-French Convention signed by France and Britain in the spirit of cooperation engendered by the Crimean War threw all parties into one unanimous protest. The convention, on the question of the French Shore, which at this time ran from Cape St John (about 150 miles northwest of Cape Bonavista) to Cape Ray on the west coast (about 230 miles south of Pointe Riche), was subject, on the British side, to ratification by the Newfoundland legislature. Among other vital details, the convention proposed an extension of French fishing privileges into Labrador; it also gave the French an exclusive right (except for certain limited military and administrative purposes) to an important section of the existing treaty shore. Newfoundland, now under responsible government, reacted swiftly and violently. In March 1857, Kent, with Frederic B. T. Carter* of the Conservative opposition, went to Halifax, N.S., thence to New Brunswick and to Canada, to drum up colonial support for the Newfoundland cause. They won support in all the colonies, Prince Edward Island included, an incident that may have influenced Newfoundland’s willingness to at least consider confederation in 1864 and 1865. “We cannot soon forget,” said the Newfoundlander, on 16 April 1857, “our obligations to our Sister Colonies . . . who have identified themselves with our struggle.” As a result of these colonial representations Britain abandoned the convention, and Kent subsequently served as one of two British delegates on a joint Anglo-French commission in 1859. He was dropped from the commission early in 1860. The suspicion was that he had not made much of a contribution to it; possibly he was too refractory. 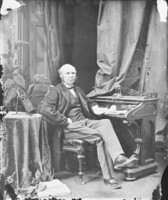 Kent had become premier in 1858, following P. F. Little’s appointment to the Supreme Court of Newfoundland. He was returned to power in the general election of November 1859, an election contested with more than the usual bitterness. In these years the sectarian rivalry had sharpened fiercely. The census of 1857 had shown a shift in the narrow balance between Protestant and Catholic in Newfoundland. In the census of 1845 the Protestants had had a slight edge – 49,500 to 47,000 – but now the margin had increased (the result of a considerable Methodist immigration) to 64,000 Protestants against 55,000 Roman Catholics. The Kent ministry fell upon bad times. The early years of responsible government had gone well; as Kent put it, “the sunshine of prosperity” had beamed upon the Little government. In 1859 revenues dropped and in 1860 there was a partial failure of the fishery. This in turn necessitated consideration of direct provincial relief for the poor – a problem that had a splintering effect on Kent’s party. The issue was whether poor relief moneys should be administered by local members (and thus become a form of patronage) or by a non-partisan committee. Kent was under some pressure from the bishop to opt for the latter solution, but his own party refused to accept it. The Roman Catholic church was in fact now turning against Kent. He had always enjoyed the confidence of Bishop Fleming, but Fleming had been succeeded in 1850 by Bishop John Thomas Mullock*, a man with even more Irish in him than his predecessor, and Kent never had the same rapport with Mullock. The new bishop seems to have gravitated toward Ambrose Shea*, member for Burin. The quarrel about relief within the Liberal party broke into the open in 1861. The failure of the 1860 potato crop had made relief essential; but Kent believed, perhaps rightly, that the administration of poor relief had to be tightened. Early in 1861 regulations to this effect were published which aroused considerable popular resentment, and members of Kent’s own party were not above capitalizing on it. In the assembly Kent defended himself and his government’s action in his usual forthright style. He was being attacked, he said, by a “miserable faction who sought his political destruction; a set of frozen serpents which having been warmed into life had stung the breast which gave it vitality.” The cabal against him was engineered by a “designing, cozening, cunning rogue,” whom Kent did not name, but whom everyone knew to be Ambrose Shea. Kent succeeded in saving his ministry in January 1861, but within a month he was hit from another quarter. A bill had been introduced by the government authorizing the payment of public accounts, and official salaries, at a reduced rate of exchange – a loss of about 4 per cent. Strong protests came in from both officials and the Conservative opposition. Kent was angry. In the assembly he spoke darkly of a conspiracy against his Liberal government by the governor in league with the opposition. Perhaps the speech was one way, crude enough in all truth, of healing the rift within the ranks of the Liberal party. Governor Sir Alexander Bannerman*, who had resented Kent’s dictatorial methods and disliked his administration, partly because he thought it corrupt and partly because he knew it was Catholic, asked Kent for an explanation of his words against the queen’s representative. Kent imperiously replied that he need not account for his words in the assembly to anyone. Then Bannerman struck. Having ascertained that the opposition would be willing to form a government, he dismissed the Kent ministry early in March 1861. Bannerman’s conception of his role as governor was clearly, in the context of responsible government, anachronistic. Kent moved and carried resolutions in the assembly protesting that his dismissal was a “gross act of treachery” to the people of Newfoundland; the house was then dissolved and the tumultuous election of the spring of 1861 began. Only the defeat of Kent and his party could save Governor Bannerman. The issue may account for some of the character of the 1861 election. Kent and his Liberal party were defeated, though only narrowly; it was upon doubtful constituencies, where feeling had run high, that office and power turned. There had been rioting and loss of life; troops had had to be called in; but in the end was ameliorated the old habit of Catholics who were voting Liberal intimidating Protestant and Conservative voters, and vice versa. Most of the members of the legislature seemed ready to recognize that Newfoundland’s own interest, to say nothing of her reputation, required that further disorders on this scale be avoided. Hugh W. Hoyles*, the Conservative premier, was able, with some important Roman Catholic support, to put measures through the legislature increasing the police establishment, and to secure more independence for jurors. 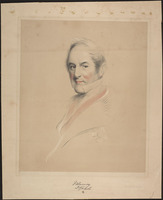 Governor Bannerman was seen, by Daniel W. Prowse* in the perspective of later years, to have begun the trend toward parties crossing religious lines and toward the lessening of electoral violence. Bannerman was much helped in this endeavour by the courageous and firm Hoyles government. Nevertheless there are many unanswered questions about this amelioration of Newfoundland politics. 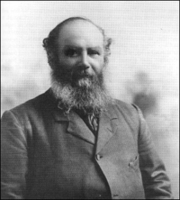 Some have suggested a private pact between Hoyles and Ambrose Shea; some that Bishop Mullock’s withdrawal from active party politics – perhaps as a result of pressure exerted from Rome – was the reason for the change. 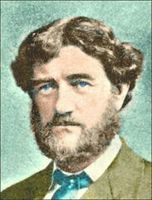 Kent had kept his own seat in St John’s East in 1861, but he was ere long replaced as leader of the opposition by Shea. Kent never forgave Bannerman for the events of March 1861; on Bannerman’s departure in September 1864, Kent denounced him fiercely in the pages of the Newfoundlander. The coalition government that came to power in the awful depression year of 1865 appointed Kent as receiver general, and he went to Ottawa as one of the Newfoundland delegates to discuss confederation in 1869. When, however, that government was defeated on the confederation issue in the general election in the autumn of 1869, Kent retired from politics. After an extended trip abroad, he returned to Newfoundland and died suddenly, in his sleep, at St John’s on 1 Sept. 1872. He was survived by his wife and by at least two children. Kent had developed his political career in a period of Newfoundland history notorious for its rabble politics; his régime as premier was weakened by the corruption within his own party, and by the consequent alienation of the Roman Catholic bishop who preferred Ambrose Shea. Kent’s style was in fact outdated. There was still much rabble-rousing to be done in Newfoundland politics, but more skilful and more circumspect politicians were on the scene. Kent would have been much in sympathy with the Newfoundlander’s boredom before the prospect of the assembly that was about to meet in 1864: nothing interesting was to be expected from that assembly – only the “dull” dispatch of legislative business. There are no known collections of John Kent papers. Newfoundland newspapers, however biased, are the best contemporary source – notably the Liberal Newfoundlander (St John’s), 1830–72, and the Conservative Public Ledger (St John’s), 1830–72. Also useful is PRO, CO 194, the dispatches of the Newfoundland governors to the Colonial Office. P. B. Waite, “KENT, JOHN,” in Dictionary of Canadian Biography, vol. 10, University of Toronto/Université Laval, 2003–, accessed April 24, 2019, http://www.biographi.ca/en/bio/kent_john_10E.html.